The Criminal Justice degree is designed to provide students with a broad education based in the social sciences and, at the same time, introduce them to the goals and processes of the entire criminal justice system. The Department of Criminal Justice is one of the largest on campus with over 300 students enrolled in the major. 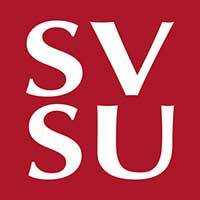 The program has a cooperative agreement with the Delta College Police Academy that permits our students to earn 12 Academy credits toward the SVSU degree. Class sizes range from 20 to 35 students, allowing for meaningful faculty-student interaction. Prepare students for entry-level positions in a variety of public and private agencies related to criminal justice. Provide the opportunity for practicing police officers to enhance their professional knowledge and abilities. Provide students with the background necessary to pursue graduate studies.